Check-in and registration will now take place at the pavilion by hole 10 this morning. Players meeting will begin at 10:30am. FRANKLIN PARK HOURS OF OPERATION”- WE NEED TO BE EXITING THE PARK AT 5:30PM OR WHATEVER HOURS OF OPERATION ARE IN EFFECT. DUE TO COUNTY POLICY WE NO LONGER CAN PLAY PAST CLOSING TIME. SPRING HOURS WILL START IN THE NEXT MONTH OR SO. PLEASE BE RESPECTFUL OF THIS CHANGE AND DO EVERYTHING POSSIBLE TO BE LEAVING THE PARK AT 5:30PM. Loudoun County’s first ever Ice Bowl will be held at Franklin Park on January 21st, 2012. The Ice Bowl has a rich history beginning in 1987 with a single tournament in Columbia, MO. It has since grown to over 200 events a year that benefits local charities. 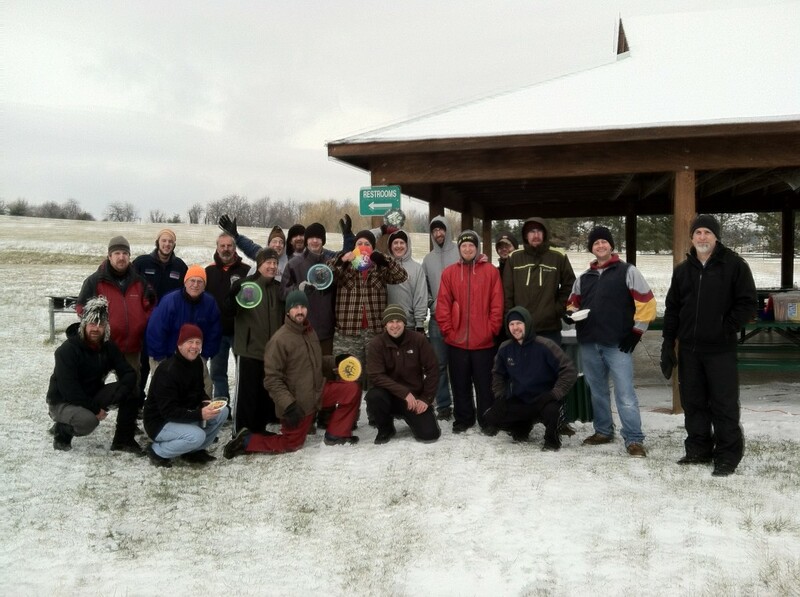 The LoCo Disc Golf Club has pledged to raise at least $500 and 500 lbs of food that will go to Loudoun Interfaith Relief. Come out and help us make it happen!